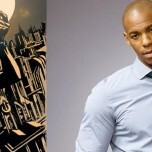 James Olsen (Mehcad Brooks) has Lena Luthor (Katie McGrath) on his side, but will the citizens of National City be as accepting of a Black male vigilante? That’s the question weighing heavily on Jame’s mind in Supergirl season 3 episode 19 titled “The Fanatical”, airing next Monday, May 21st on the CW. The network has just released the trailer for the upcoming episode. 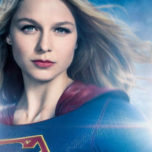 While James wrestles with the decision to come out to the public before someone else does it for him, he and Kara (Melissa Benoist) also find help in the unlikeliest of places when an ex-member of Colville’s cult gives the journal that could be the key to stopping Reign without killing Sam (Odette Annabel). Check out the trailer and the synopsis for the episode below! JAMES CONSIDERS UNMASKING AS GUARDIAN – When Tanya (guest star Nesta Cooper), a disciple of Coville’s, escapes from what’s left of his cult, she gives Kara (Melissa Benoist) and James (Mehcad Brooks) a journal that could hold the key to saving Sam (Odette Annable). Someone learns Guardian’s identity and threatens to expose James if he doesn’t do what they ask. James contemplates what it means to be a black vigilante without a mask in America. Mairzee Almas directed the episode written by Paula Yoo & Eric Carrasco (#319). Original airdate 5/21/2018. 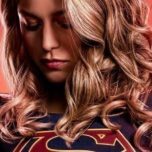 Supergirl Season 3 air all-new episodes from now until the finale every Monday night at 8/7c on The CW!